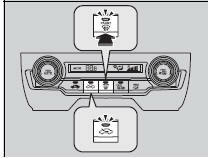 The automatic heating system maintains the interior temperature you select. The system also selects the proper mix of heated or cooled air that raises or lowers the interior temperature to your preference as quickly as possible. 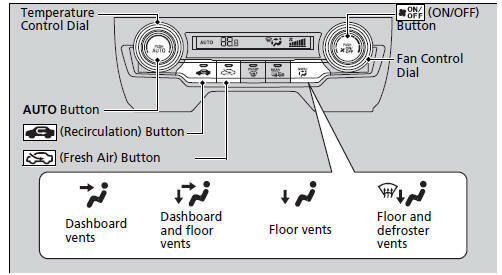 If any buttons are pressed while using the heating system in auto, the function of the button that was pressed will take priority. Pressing the button switches the heating system between on and off. When turned on, the system returns to your last selection. While in the ECON mode, the heating system has greater temperature fluctuations. 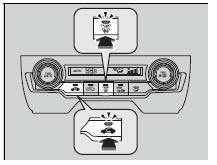 Pressing the (windshield defroster) button automatically switches the system to fresh air mode.